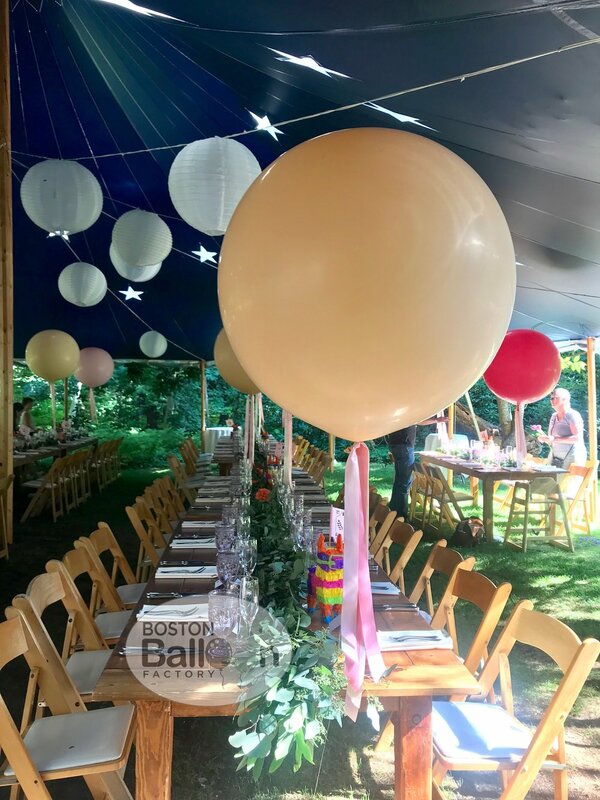 Boston Balloon Factory creates imaginative and affordable balloon centerpieces for weddings, events and parties. 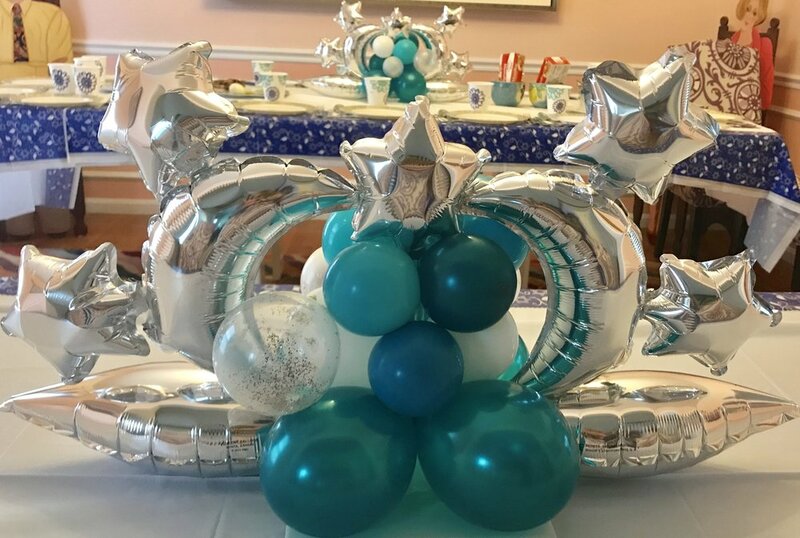 Big or small, we work within your budget and stye to create the perfect balloon centerpiece. Same Day Delivery Available! Call us today. 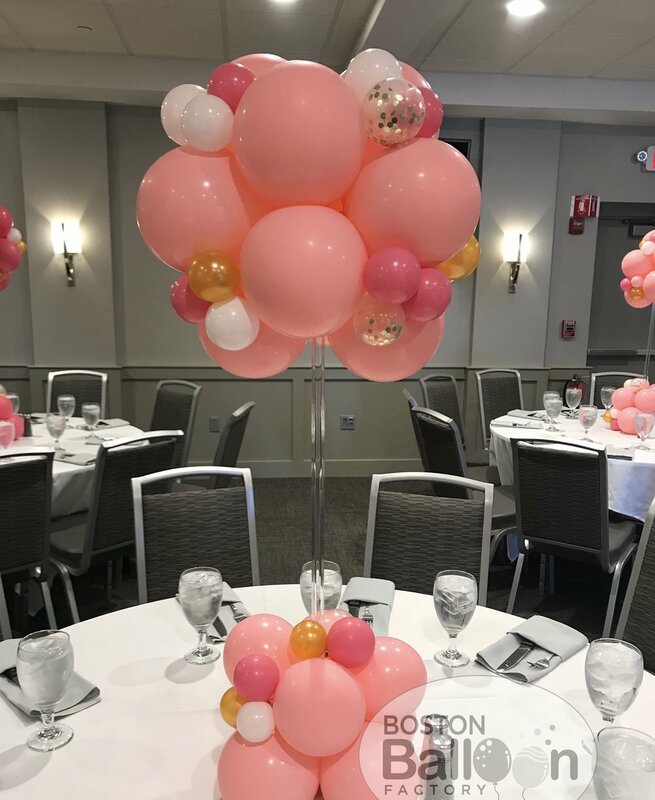 At Boston Balloon Factory, we take pride in our imaginative balloon centerpieces. If you are in the Greater Boston area, call us today at (781) 956-9836, and we can take your centerpiece ideas to the next level! Have an idea of a theme? If not we can help you! We can work within your budget and chosen theme or color scheme. We make centerpieces big and small. Anything you can imagine, we can do! We can also combine other elements with balloons to create your ultimate dream a reality! Our balloon centerpieces can stand alone, but many people like to combine balloons with greenery or other elements for a more unique flair. Whether you need huge centerpieces for a grand table or small ones to highlight more intimate seating, we are excited to help! If you have a design idea, we can bring it to life. If not, just tell us your event’s theme and/or color scheme, and we can create centerpieces that are sure to delight. 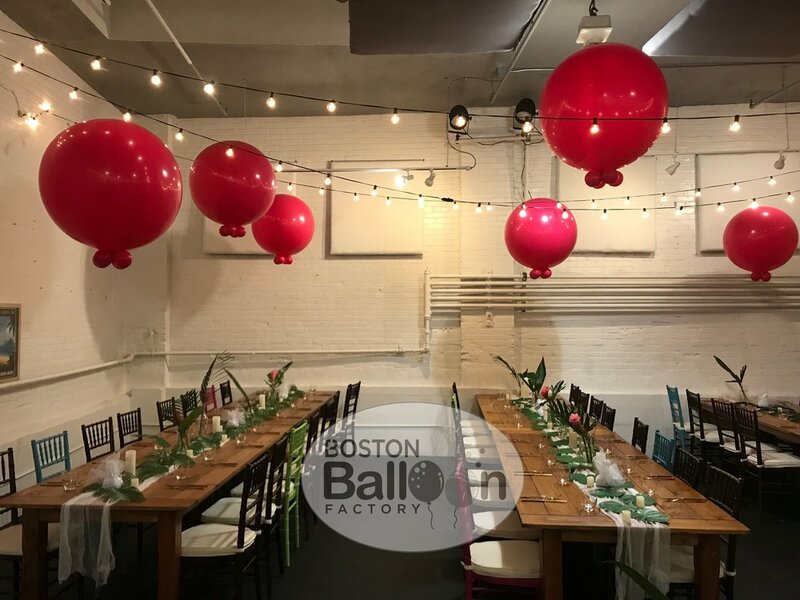 Call Boston Balloon Factory today at (781) 956-9836 to discuss your ideas.